We believe everyone deserves a happy, healthy body and mind. Tri Prana are committed to providing free information to those seeking alternative complementary therapy in the Tottenham, Haringey area. We want our centre to grow. Tri Prana is a relaxed and friendly centre where people can come to learn or experience something different or continue their development and practice. All therapists are fully qualified with a professional body and insured. If you're interested in joining our directory please email hello@tri-prana.com. Massage in motion (London) is an enchanting home based massage therapy centre, located in Tottenham Haringey, specialising in Swedish, deep tissue and pregnancy treatments. Leonie is a skilled and receptive practitioner who goes above and beyond to create a space where you can relax and indulge in some dedicated me time. Her Massage treatments are designed for your body and your needs - at the same time the atmosphere in the treatment room is always relaxed and tranquil. Massage in Motion is a friendly and warm place where you can take a moment to truly pamper yourself, address your muscular & joint pains or find some quiet time for you. Louise Sam is a Medical Herbalist and Well-being Mentor, with an extensive background in the field of natural health and beauty, working with some of the UK’s leading organic health brands and complementary therapy colleges. Louise is passionate about supporting my clients to achieve their personal and professional goals and maintain a positive work-life balance. Steph is a qualified registered Nutritional therapist with a passion for healthy eating. "I changed my career path because I wanted to make more of a difference – to help people improve their health. I was experiencing my own health issues and what I learnt from the Nutritionist I saw, I wanted to build upon and relay to others. I really enjoy finding practical solutions to enable a client to move towards their health goal. The focus is on the client and their journey and any recommendations have to suit that person. Finding alternative healthy treats or changing a recipe to make a healthier version gives me a kick and I can spend hours in the kitchen making, baking and eating! Although this is not always the case, the majority of the time I want quick healthy meals and I am aware most of the people I see will want the same. I enjoy providing tips for healthy eating, a healthy lifestyle and a persons' overall sense of wellbeing." Support with digestion, improving energy levels, skin health, hormonal balance, aiding sleep patterns, healthy weight management, managing stress and promoting emotional wellbeing. We can start with a 15 minute taster session so you can get a flavour of Nutritional Therapy, the process and how I work. Shanti is a fully qualified Ayurveda consultant based in London. She personally has been practising the art and science of Ayurveda for 8 years. The ancient Holistic approach of Ayurveda can be integrated into nutrition fitness and mind body wellness to achieve true health and purpose. Shanti is qualified in the UK and a member of the Complementary Medical Association and the Federation of Holistic Therapists. Faye is a qualified Integrative therapist and auricular acupuncturist. She has been running small auricular acupuncture groups within substance misuse services for over 5 years. "I have seen the benefits of NADA’s 5 point therapy and I feel these benefits can help people within the wider community. This year I have started a small community group as I have met many people that could benefit from auricular acupuncture and I am passionate about helping people to find new ways to improve their physical and mental wellbeing. 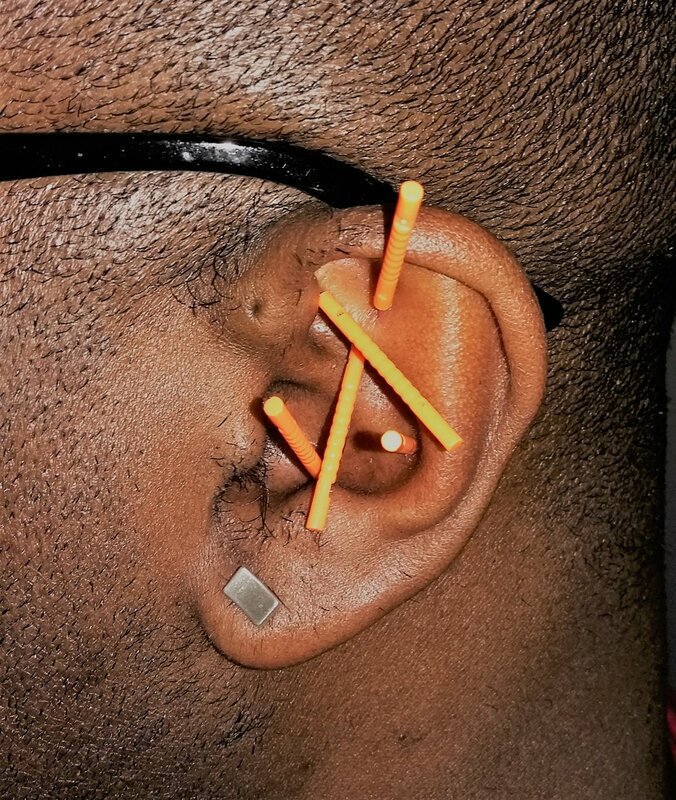 Auricular or ear acupuncture is a form of complementary therapy, based on the idea the ear is a micro system to the entire body. The 5 points that I practice are all on the outside of your ear. What to expect if you come to an auricular acupuncture group? The NADA protocol is a non-verbal approach to healing that involves the placement of up to five small, sterilized, disposable needles into specific sites on each ear. You will sit quietly in a group setting for 40-45 minutes in a relaxing setting. If you don’t like needles, no problem, acupressure seeds are available also." Denisa Nenova manages MahaDevi Yoga Centre, the UK's only yoga studio dedicated to offering one to one yoga for children, young people and adults with special needs or additional needs. We see over 50 children a week with a variety of conditions including autism, cerebral palsy, down's syndrome and stroke survivors. All classes are subsidised by our adult group classes where 50% goes towards supporting lower income families. Paul was first introduced to Neuromuscular Therapy in 2007 in Manila, Philippines. Experiencing the numerous benefits Paul learnt the method to treat himself and others who needed it. After a lot of self-study and practice he started to treat family, friends and students in 2009. The results of the therapy proved to be very effective. Neuromuscular Therapy is a holistic treatment and the therapy works around a simple concept. The goal is to release and relax spastic muscles (shallow and deep) to remind the brain that tension and spasms are not normal. This method triggers our brain to begin healing itself with each treatment. 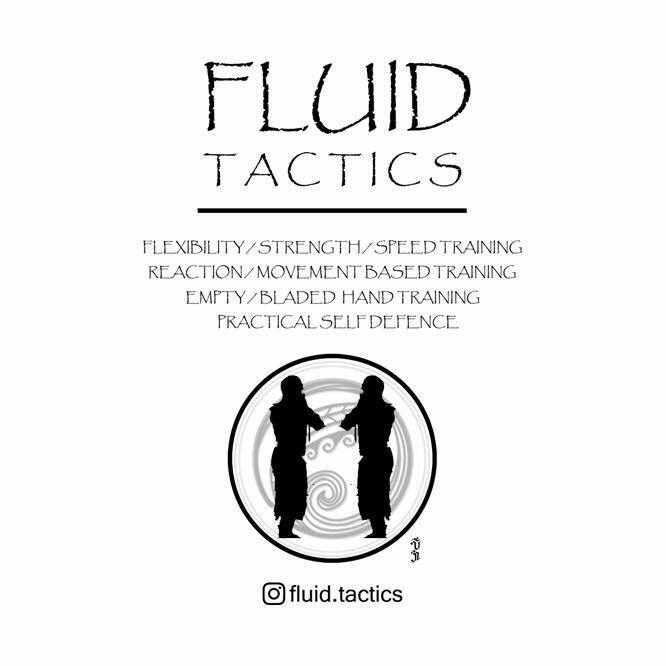 As a trained Martial Artist Paul is used to body aches, pains and injuries. NMT is therefore highly recommended to those looking for non intrusive and non invasive treatment.